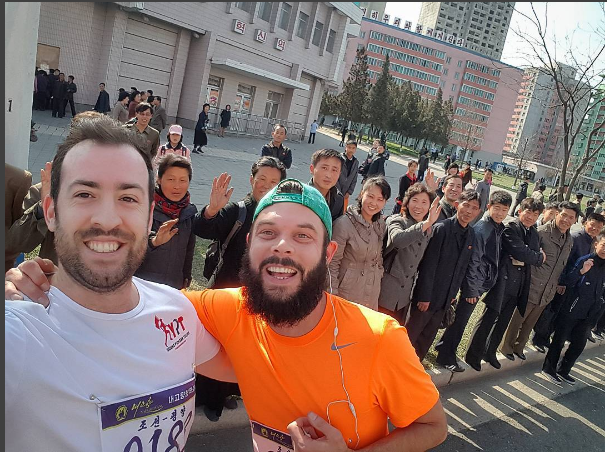 Join us in the DPRK to participate in the Pyongyang Marathon! 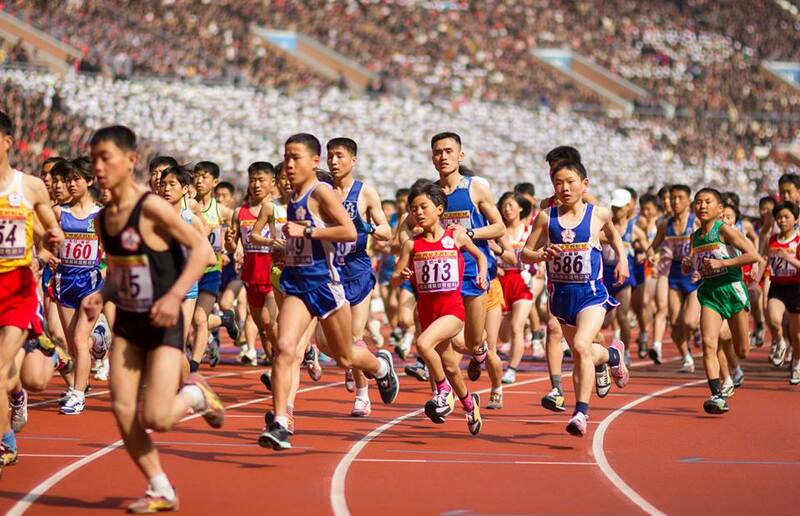 This incredible event is the sixth year that foreign tourists are welcomed to compete or spectate from the grandstands of Kim Il Sung Stadium! 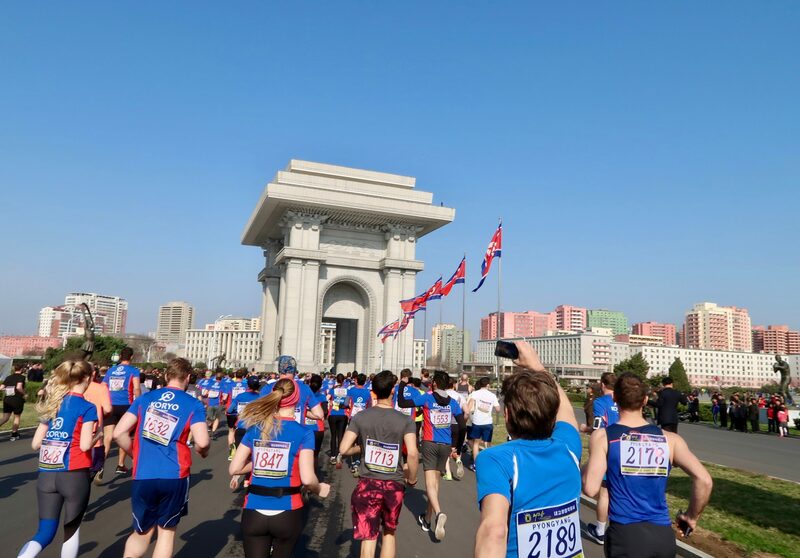 This very special tour offers the chance for you to not only spectate or compete in the marathon but also to have a great insight into the DPRK by exploring the best Pyongyang has to offer. We’ll travel deep into the mysterious Pyongyang Metro, hear their story of the Korean War at the newly renovated Korean War Museum where captured American tanks and weapons are kept, visit the iconic bronze grand statues of the leaders, explore Kim Il Sung Square where all the previous military parades have been held, and much more. 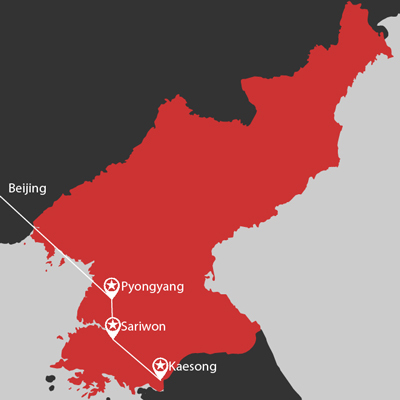 During your visit you’ll be visiting all the must-see sites in Pyongyang city, and of course, no trip to the DPRK is complete without a visit to the DMZ, where the country is separated from South Korea. This tour is a must see, run, and do tour that you do not want to miss! Book now with us to secure your position for the marathon and your spot with Young Pioneer Tours! Group bookings and Young Pioneer returners are most welcomed with discounts. Please note: flights between Beijing and Pyongyang are very limited. The sooner you can book with us the sooner we can confirm your flights. Please have a Chinese visa prepared as we may need to switch you from the flight to train if seats are quickly sold. Meet your YPT guide at 1:00pm at the Beijing Zhong Gu Hotel near Beijing Railway Station found here. 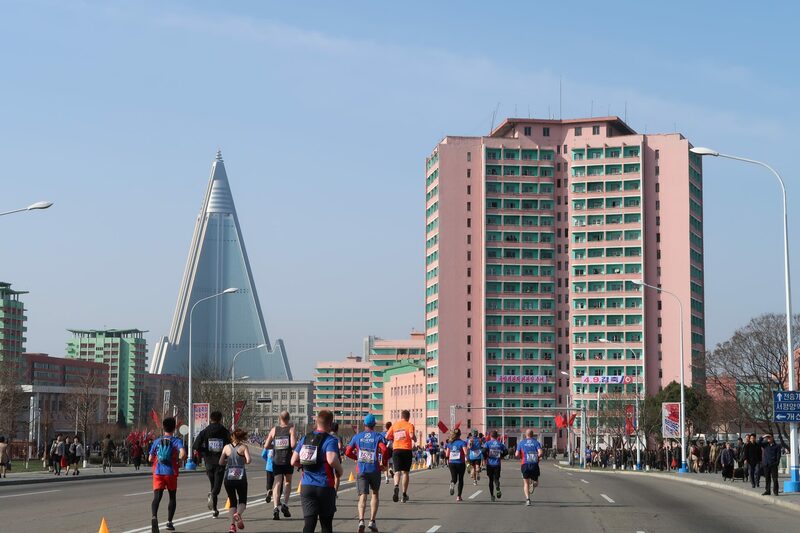 During this meeting, we’ll go through the tour’s itinerary, further discuss the marathon, receive DPRK visas and tickets, as well as a great chance to meet your fellow travellers and to discuss any other questions you may have about the DPRK. Train takers depart Beijing Railway Station at 5:25pm for the 24 hour sleeper ride to Pyongyang. Train group arrive at 6:30pm to an equally warm welcome. Cool down at Munsu Water Park with indoor pools and amazing water slides, the park also features plenty for those who don’t want to swim, including a cafe, shop, beer bar, table tennis, billiards, massage, or a beauty salon – optional charges. Visit the Taedonggang Micro Brewery to further wind down with multiple delicious draft beers on tap, with coffee, soft drinks, and juices also available. Dinner at the National Restaurant with performance from the waitresses! Kim Il Sung Square – The Main square of Pyongyang City where all the military parades are held. Foreign Language Bookshop – the best place for pins, stamps, books, CDs and DVDs as well as DPRK Flags! Lunch at Chongryu Hot Pot restaurant. Victorious Fatherland Liberation War Museum, featuring dioramas, captured weapons, tanks, and planes, the Victory Monument, and the USS Pueblo: the only American military vessel held by another nation. Juche Tower – the tallest stone tower in the world, it represents the eternally burning Korean Juche Ideology (optional extra 5 euro to go to the top of the tower). Dinner at New Stamp Restaurant restaurant. Koryo Museum – Korea’s first university and now a museum of history and culture. Also home of the best stamp and propaganda poster shop in the DPRK, so don’t forget your wallet! The DMZ – see one of the most tenses places on earth complete with a friendly KPA officer who will not only give you a guided tour but also keep you safe. Also the only place you can take photographs of and even with a soldier! Lunch at the Thongil Restaurant in Kaesong City – try your hand at traditional Korean Pansangi, a series of dishes served in bronze bowls. (Optional extras- Dog Soup 5 euro, Ginseng Stuffed Whole Chicken 30 euro – can be split between several people). Drop by Sariwon City (Capital of North Hwanghae province) to walk in the local folk custom park and view the city from the mountain top pagoda. Get back to Pyongyang for dinner at the Duck Lamb BBQ restaurant with performance! Korean Film Studio – We’ll be able to dress up from characters from the old Koryo Dynasty (1 euro) and walk the streets of the backdrops such as Seoul during the 1960s, Tokyo during the 1940s and even an old European town. Visit Mansudae Art Studio, where the nation’s most important art work and statues are created. This is where we get to meet some of the local artists too. Grand People’s Study House: the main library and academic centre for adult learners, this grand building is built in the Korean style and affords a great view over the central Square. Head to the Meari Shooting Range which has been recently renovated and equipped with rifles, pistols, archery, virtual games, and automatic rifles! (Extra charge). Gentle stroll along the new Mirae Scientist Street to see one of the newest residential areas in Pyongyang. 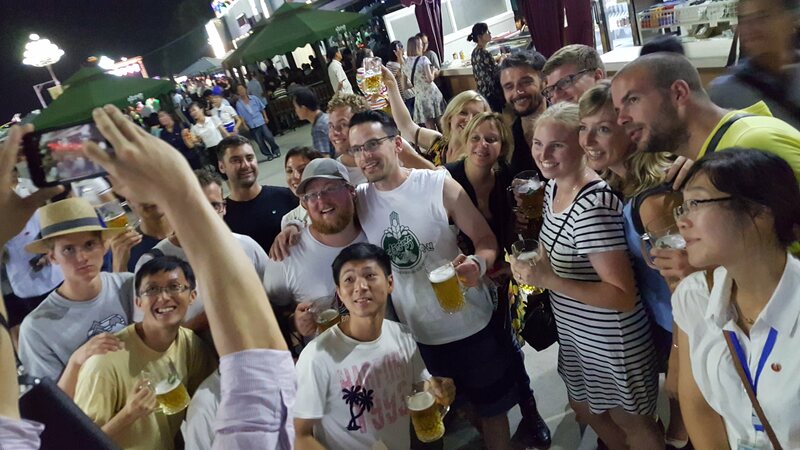 Farewell drinks at Taedonggang Diplomatic Club for local and imported drinks, karaoke, billiards, ping pong, and a great chance to meet some local Pyongyang expats! Flight members depart at 10:00am for Beijing on Air Koryo. (Arriving at 11:30 Beijing time). Train members depart at 10:25am for Beijing on train K28. Train members arrive in Beijing Railway Station 9:00am. 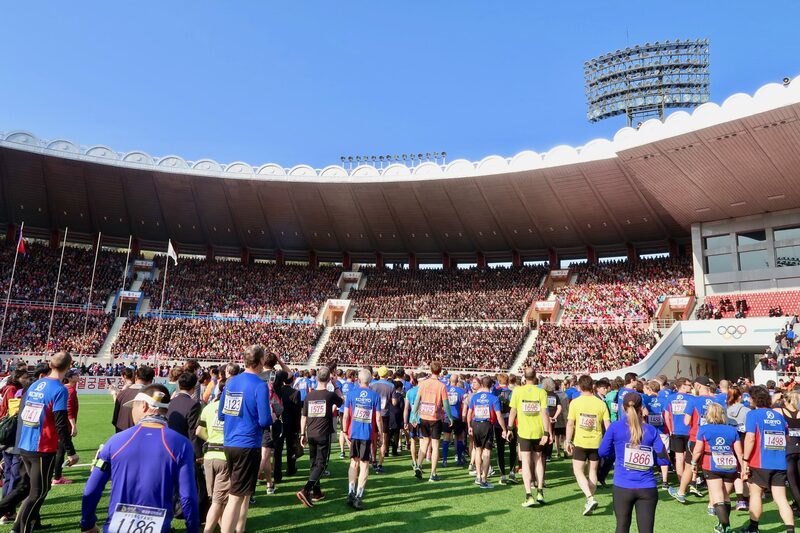 Choose from a variety of distances - 5km, 10km, half or full marathon. Visit the DMZ and the cities of Kaesong and Sariwon.